Veho Sports VMP-008 2GB Flash MP3 Player | Product overview | What Hi-Fi? 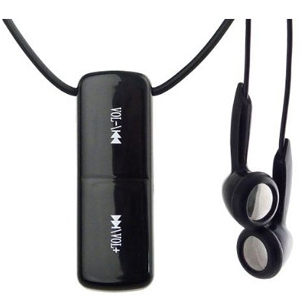 When your doing sports or working out down the gym you don't want to be slowed down by heavy and bulky MP3 players. The VMP-008 Sports is lightweight, small and fits round your neck so you can enjoy your music without getting in the way.